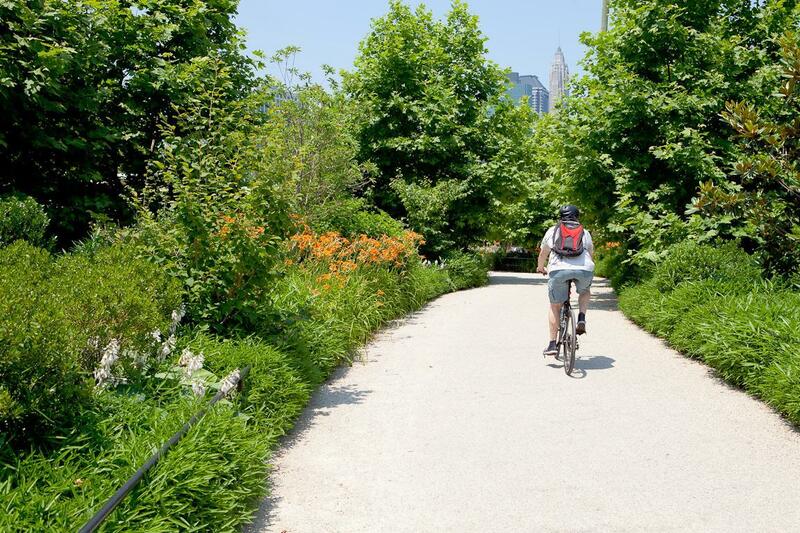 Take a leisurely ride along our scenic and bike-friendly waterfront greenway that traverses the park from Pier 1 to Pier 6, or use your bike to easily access destination points throughout the park. 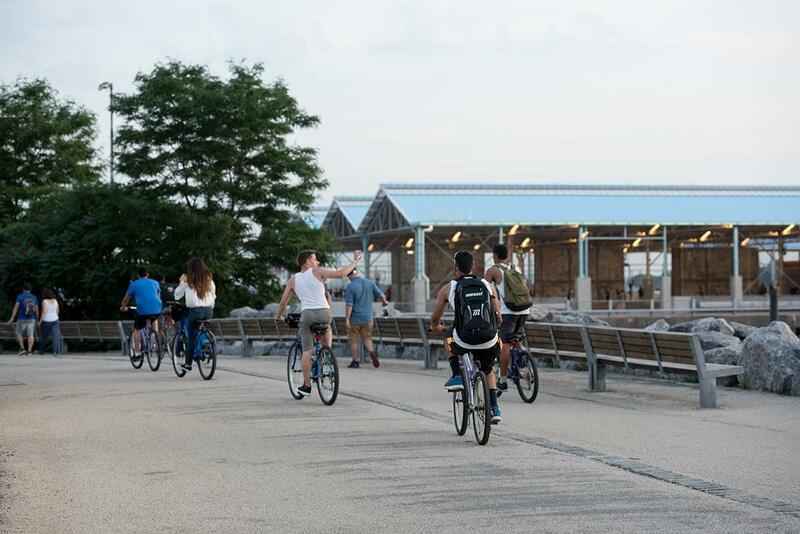 Connect to the Brooklyn Greenway from Brooklyn Bridge Park. See the route here. Cycling is permitted only on the designated bicycle path. 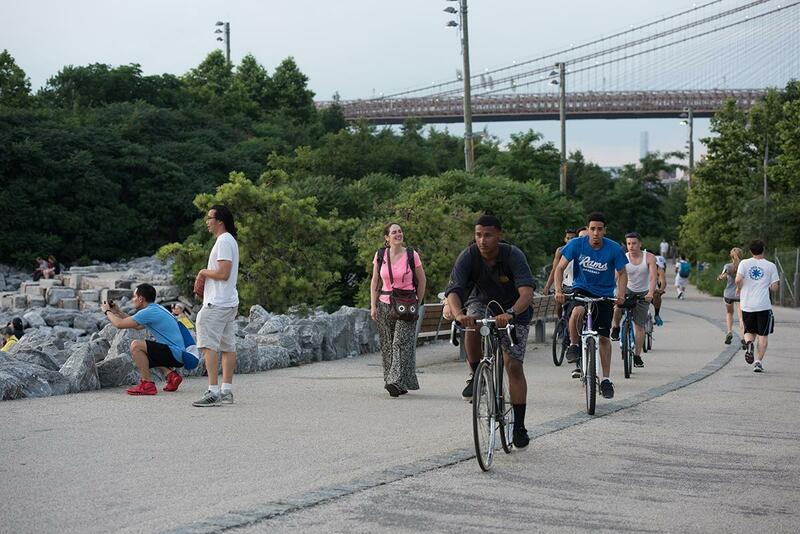 Cycling is not permitted on park paths or the pier promenades. Bike racks are located throughout the park. Do not lock your bike to park fences or railings. Citi Bike is New York City’s bike sharing system. Intended to provide New Yorkers and visitors with an additional transportation option for getting around the city, Citi Bike is a fleet of specially designed bikes that are locked into a network of docking stations sited at regular intervals around a city. The bikes can be rented from and then returned to any station in the system, creating an efficient network with many possible points and combinations of departure and arrival. For more details on the Citi Bike program, including station maps and apps, please visit Citi Bike’s website.